Google Translate is an invaluable tool for those who travel to areas where you may not speak the language; but, it is also a tool that has lagged behind in certain respects for a while. Translate could do a lot, but one thing that was missing was real-time translation of text through your camera. This is something that could be done with Word Lens, an app that has been around since 2010. So, obviously, Google bought Word Lens earlier this year. Word Lens started on iOS in 2010, made it to Android in 2012, and Google Glass in late 2013. Google bought it in May, and made the app free. Now, it looks like the functionality is about to be baked into the official Google Translate app. This means that you'll be able to point your phone camera at a sign or menu, and have the text translated in real-time between English and French, German, Italian, Portuguese, Russian, or Spanish. The translations can go to or from English, but English has to be one of the languages right now. 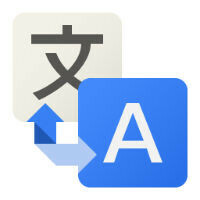 Another cool addition to the next Google Translate update will be auto-detection for conversation mode. This means that rather than you having to manually switch the languages during the conversation, you set the two languages that will be used, and start talking. The app will automatically detect which language is being spoken and translate on the fly as always. It should mean you'll be able to have much more natural flow to a conversation than before. No word on when this update will be pushed out, but Android Police says that the features seem ready to go; so, it could come at any time. We'll be keeping an eye out for it. The only thing I'm jealous that Google has over Microsoft. I don't predict a response soon either. Not like this, not nearly as nice, not nearly as presentable, not nearly as reliable in any attempt I've ever used it. Not even close. Use it all the time. Bing translator that is, in realtime for homework for a dual language student/child of mine. Works without issues. Well Microsoft had an effort to develop one, while Google was lazy to make one so they went shopping and bought World Lens. Google just sprinkle magic powders to make it look nice and presentable and call it their own. Hopefully Chinese (Traditional and Simplified) will be added to this list, I live in an upcoming Chinatown in Brooklyn and need this.